Well, if you must know, my new year’s diet has failed. I shall now concentrate on growing taller. Please don’t suggest exercise. I’m not in any way interested in “feeling the burn”. My favorite exercise is a cross between a lunge and a crunch. It’s called, “Lunch”. If you are of a like mind, we should meet. 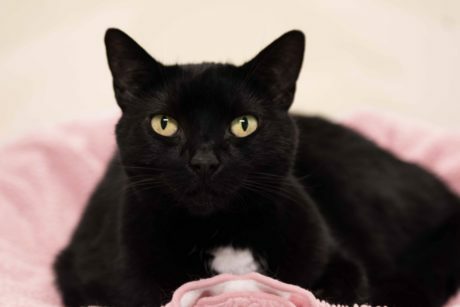 My name is Eleanor, and I’m relaxing here at the animal shelter, waiting to meet you.